There’s nothing better than coming to your garrison from a long raid and enjoying a hearty home cooked meal. Even before I started playing WoW, I was always fascinated by the robust recipe options offered throughout the game. Choosing to level up the cooking profession was definitely a no-brainer for me because of my interest of mercilessly killing virtual wildlife and throwing their meat over a roaring flame. MEAT GOOD. LOOK AT ALL THIS POTENTIAL MEAT! I guess that it’s fitting that I rolled as a hunter in this game. 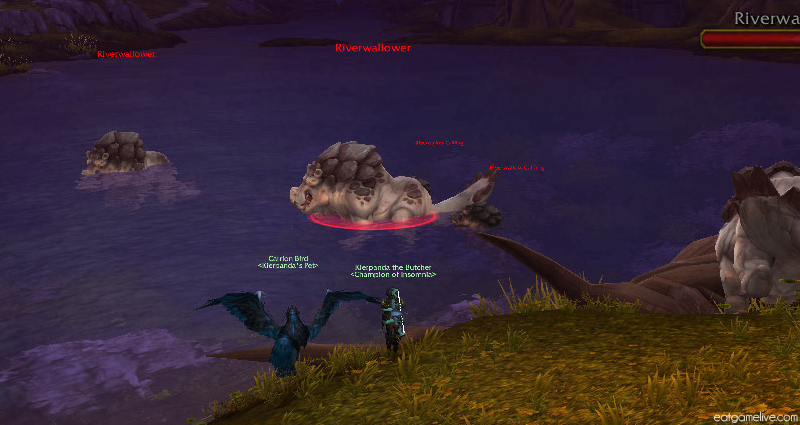 Since my local butcher doesn’t offer River Beast, I had to choose a substitute. I decided to go with lamb as my meat of choice. 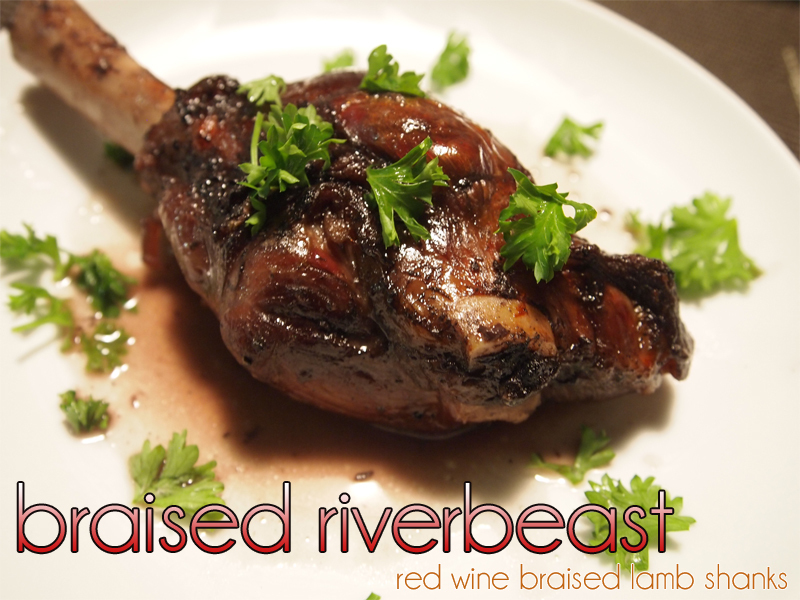 I personally love lamb and its slight gamy flavor. If you’re not a fan of lamb, feel free to use beef. 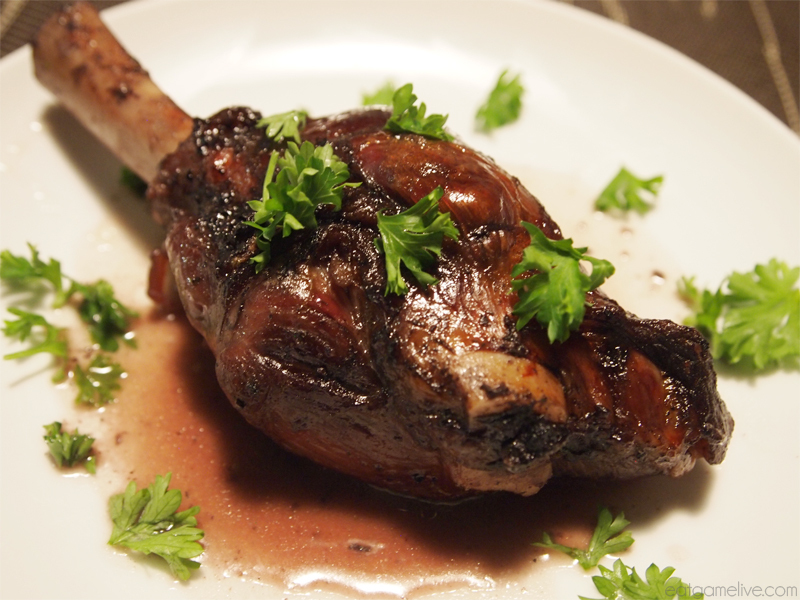 You may have to adjust the cook time and quantity of liquid since typically larger than lamb shanks. There’s something special about red wine and red meat. That enchanting aroma that gently wafts through your home as the meat slowly cooks in a bath comprised of its own fatty juices and wine is just magical... Excuse me while I get a bucket for all of this drool. 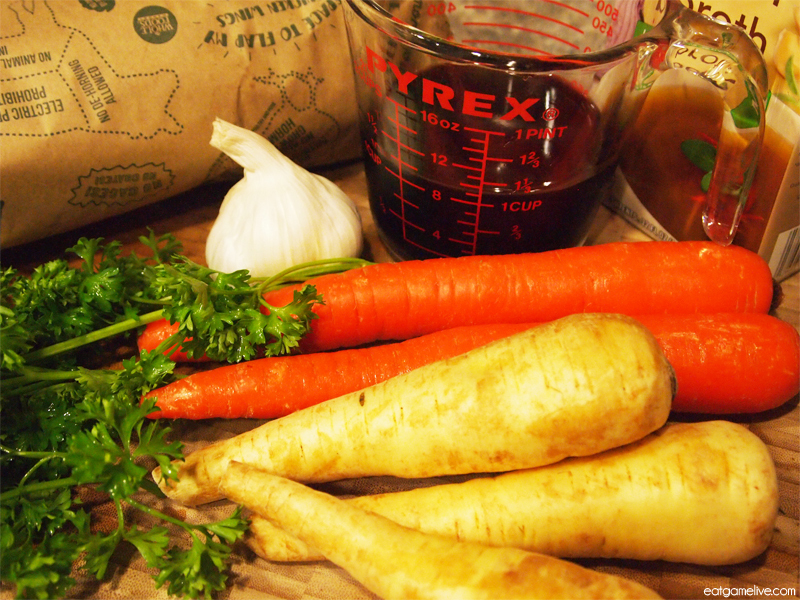 Prep time for this is about 25 minutes, or up to 45 minutes if you plan to french trim your lamb shanks. Cook time is ~1 hour, 45 minutes. This makes 4 servings. Just to note, french trimming is completely optional! It’s really only for presentation purposes. If you’re going to french trim your lamb shanks on your own, you’re going to want a very sharp paring knife. Here’s a tutorial I used. Basically, you’ll want to make an incision around bone at the very end of the shank. Then, cut into the meat, and remove about 1″ of it. Scrape off any excess fat/tendon away from the bone until it’s fairly clean. When cooking, the meat will slide down from the bone. Season your lamb with salt and pepper. Put a pan on high heat and add in your butter. Sear the lamb for about 30 seconds each side, or until brown. 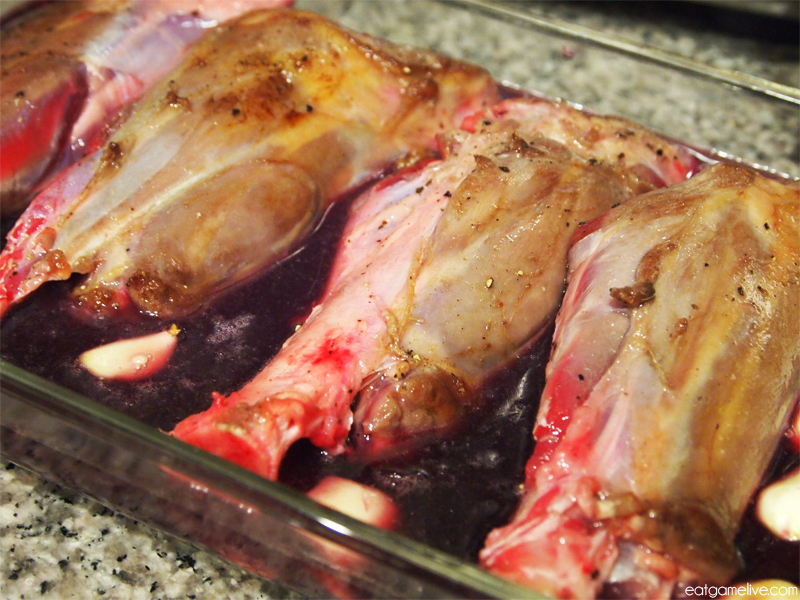 Place lamb in a large baking dish. Pour in your red wine and stock. 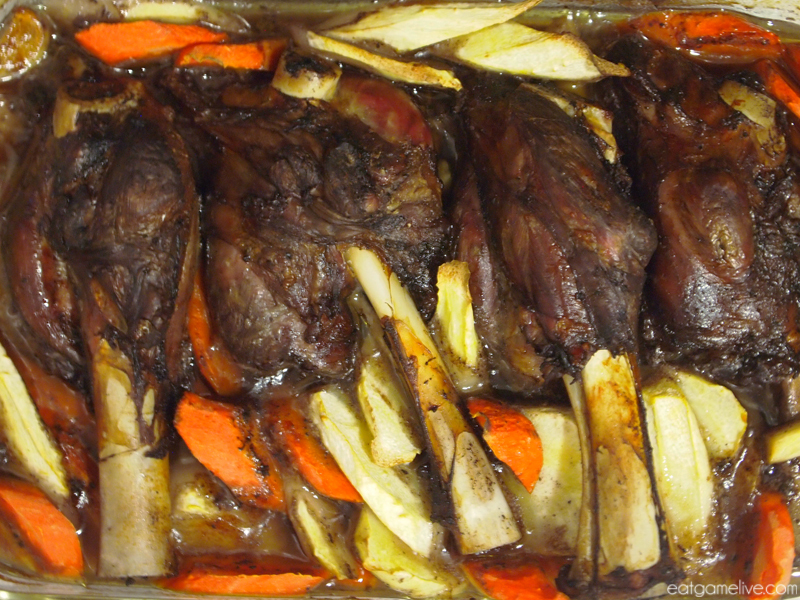 You should have enough liquid to cover 3/4 of the lamb shanks. Place your garlic in the baking dish. Place the entire baking dish in the oven and bake for 1 hour. After an hour, flip over the lamb shanks. Add in your chopped vegetables and continue baking for the remaining 45 minutes. 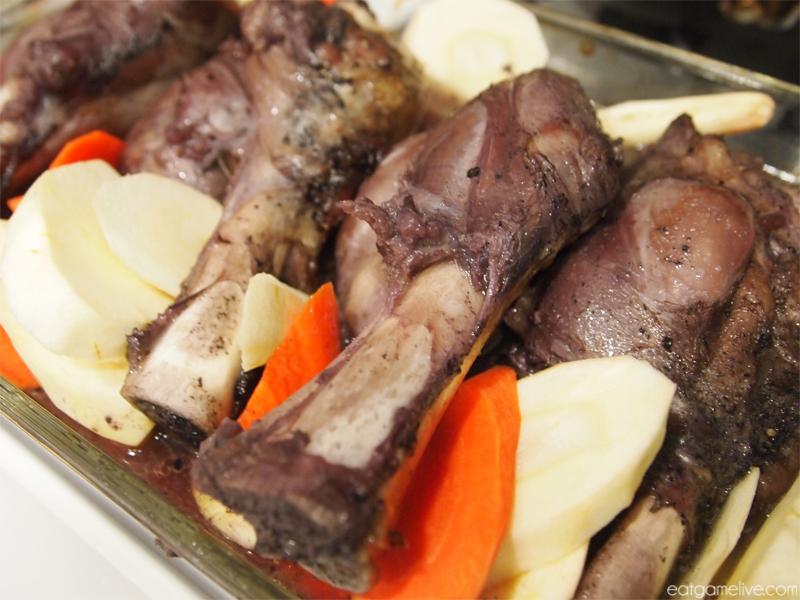 Remove from the oven and plate the lamb shanks and vegetables. Pour the remaining liquid into a pan and reduce on high heat for about 5 minutes. Drizzle the reduced red wine sauce over the lamb. Sprinkle chopped parsley over the plate. But, to have a balance meal, you need to throw in some vegetables! 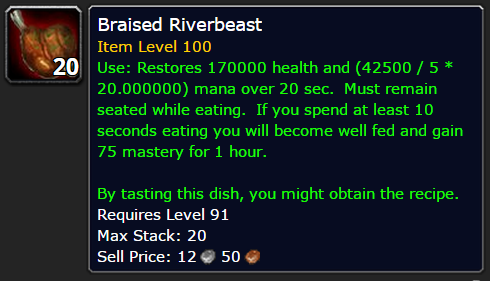 Hopefully this dish has satisfied your Draenor cuisine cravings for now. Until next time, happy hunting! 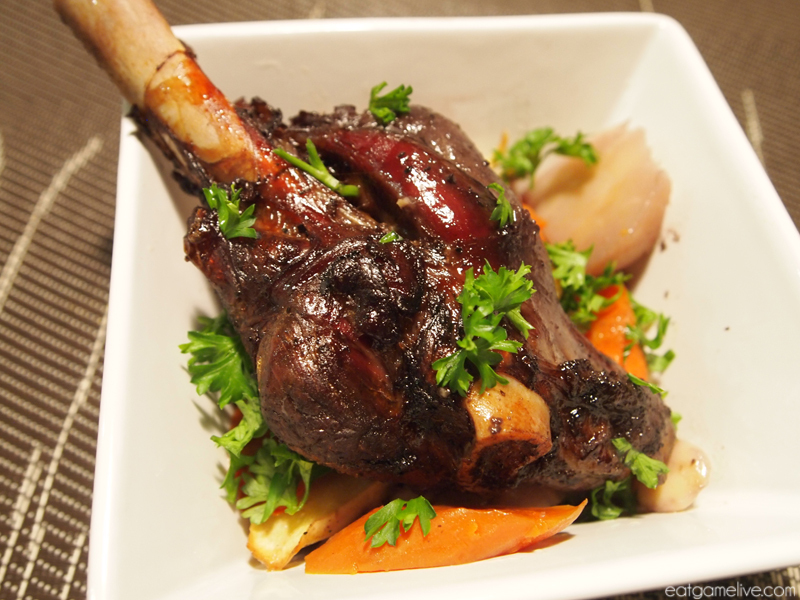 This entry was posted in world of warcraft and tagged blizzard, braised, gamer food, gaming, lamb, lamb shank, lamb shanks, mmorpg, red wine, warlords of draenor, world of warcraft by admin. Bookmark the permalink.